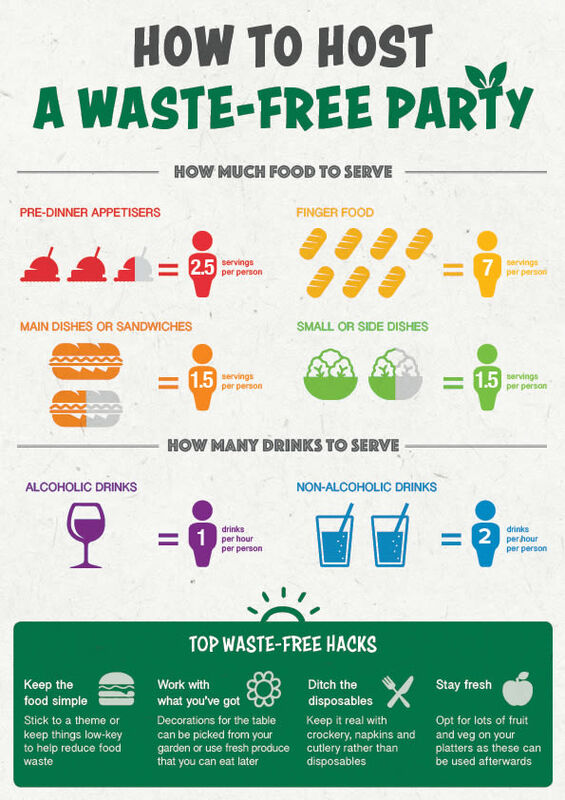 Cut the waste and up the party! Party season is now in full swing and preparing the right amount of food can often be a challenge. On one hand you could make too much food and end up with leftovers that never get eaten and go to waste; on the other hand you could make too little and leave your guests feeling hungry. See the infographic guide here. Create this much-loved party food that everyone is guaranteed to devour. In a large bowl combine mince, eschallots, tomato sauce and herbs. Season with salt and pepper. With wet hands divide mixture into 12 pieces and shape into small patties. In a large non-stick frying pan heat half the oil over medium heat and cook half the patties for 2-3 minutes on one side. Turn and top each pattie with a piece of cheese. Cook for 2-3 minutes or until patties are cooked through and cheese melts. Set aside on a plate loosely covered with foil. Repeat with remaining patties and cheese. Spread the bottom halves of the buns with aioli. Top with patties, cornichons and baby rocket. Spread top halves of the buns with extra tomato sauce and place on top of patties. Thread a tomato half onto a toothpick and secure slider. Any leftover mince can be frozen for later use for burgers, meatballs or rissoles. You can use leftover sliced beef roast, steak or stir-fry strips instead of mince patties. chives would all work well. You can also use any salad leaves you already have in the fridge. You can substitute the eschallots for half a small red or brown onion instead. These easy-to-eat beef skewers will be a hit with all your guests. Place beef in a large snap-lock bag with teriyaki marinade, garlic and ginger. Set aside for 5 minutes. Drain steaks from marinade. Thread beef, onion and capsicum alternatively onto skewers. Spray lightly with oil. Pre-heat a char-grill pan or barbecue over medium-high heat and cook skewers, in batches if necessary, for 6-8 minutes, turning regularly, or until lightly charred and cooked through. Rest on a plate loosely covered with foil for 5 minutes. Sprinkle beef with sesame seeds. Serve with extra teriyaki marinade, extra green onions and mayonnaise. You can use diced beef to save time for the skewers if desired – or dice your own beef using rump, sirloin, scotch fillet or eye fillet. Fill a pita bread or wrap with any leftover meat, salad and mayonnaise for a delicious sandwich. Feel free to use whatever onions and capsicum you have available.